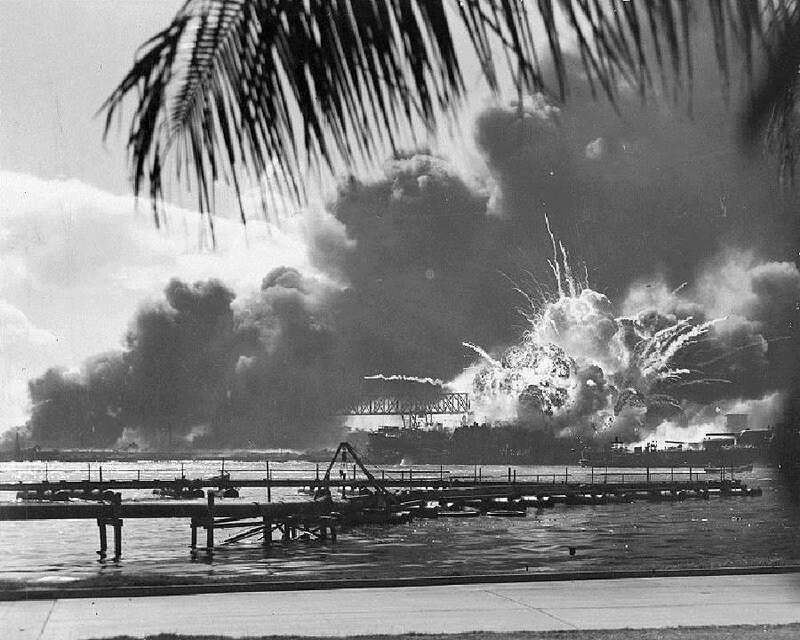 The USS Shaw explodes during the Japanese sneak attack on Pearl Harbor on December 7, 1941. While President Roosevelt was correct in stating that the tragic events on this day 77 years ago would “live in infamy,” the Greatest Generation’s subsequent sacrifices will always be remembered for saving the world from tyranny. The 2,403 fallen heroes who lost their lives at Pearl Harbor and all who served during World War II embodied the very best of America. We will always owe a debt of gratitude to these extraordinary patriots and their families.